I get a little nervous when I see a manufacturer step out of its comfort zone. Some do it subtly, as when Luxman introduced a dual-triode/MOSFET output stage in its legendary LV-105u integrated amplifier. And some do it grandly -- Klipsch's Heresy loudspeaker introduced conventionally loaded drivers to a line previously devoted to the venerated horn. In each of these instances, the experiment was a success. The Heresy is still in production. So it is with MartinLogan, renowned as the manufacturer that solved the bass shyness of electrostatic speakers by wedding them to conventional subwoofers. With the Motion series, MartinLogan abandons its electrostatic base for dynamic drivers and novel engineering and technologies, combined to create a daringly different and distinctive home-theater listening experience. The singular technological innovation in all the Motion models is their Folded Motion Tweeter. This little gem looks like the corrugations in corrugated cardboard: a three-dimensional sinewave made of -- well, MartinLogan's website doesn't say what it's made of: "our engineers won't reveal exactly how they make the sausage." (Someone should double-check that choice of metaphor.) The tweeter works by moving air perpendicularly to the folded ridges of the diaphragm, similar to an accordion's motion. Also from the website: "this extremely low-mass diaphragm 'squeezes' air and requires almost 90% less excursion than the typical 1" dome tweeter, which drastically minimizes distortion while providing a lightning fast response time." The Folded Motion principle is also used in the construction of the Motion 4's bass chamber, which ML calls the Cascading Bass Port. In this application, the port's interior end is "capped" without being sealed, essentially forcing the midrange-woofer's backwave to make a couple of U-turns before exiting the port. This feature theoretically enables the small bookshelf speaker to deliver whistle-clean bass down to 70Hz -- pretty impressive for a 4" paper-cone driver. 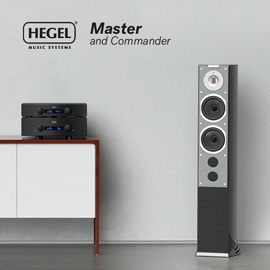 The review system consisted of two Motion 10 floorstanding front-channel speakers ($995.95 USD per pair), a Motion 8 center-channel ($399.95), two Motion 4s for the surround channels ($249.95 each), and a Dynamo 1000 subwoofer ($995). With the obvious exception of the subwoofer, each contains the Folded Motion Tweeter complemented by a woofer of appropriate size: a paper cone in a cast-aluminum basket. 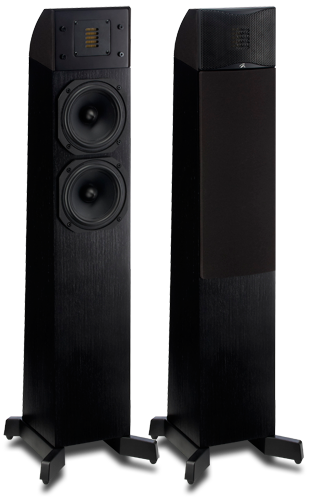 The Motion 10 comes finished in black ash, while the center and surrounds are clad in a lovely high-gloss piano black, the subwoofer in a sturdy matte black. The Motion 10 sits on a platform with splayed legs, which come furnished with a choice of carpet spikes or rubber feet. I auditioned the Motions in my A/V rig in the family room; the rubber feet protected the hardwood floor. An acoustically inert metal grille protects the Motions 8 and 4 and the tweeter section of the Motion 10. 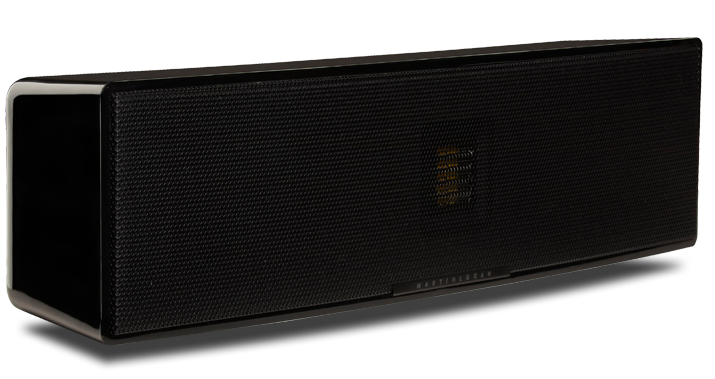 The Motion 10's two 5.25" woofers are covered by a cloth grille. Each grille is magnetically mounted to its speaker's front baffle, and each speaker has a unique pair of speaker connections -- a hybrid variation on spring clips. You push on the terminal, insert your speaker wire or pin connector, and let the terminal go. Or you can remove the plastic inserts on the top of the terminals and use banana plugs. Oddly, the terminals felt unstable, but once I had the wires in the Motion 4s and banana plugs in the Motion 8 and 10s, the connections were secure, if not audiophile-snug. 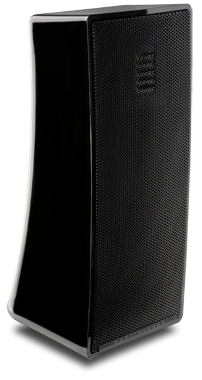 MartinLogan offers a nifty wireless option with the Dynamo 1000 subwoofer. The SWT-1 Subwoofer Wireless Transmitter ($119.95) connects to your receiver's LFE output; the Dynamo 1000 is already wired to receive. Engage two sync buttons, one each on transmitter and sub, and you're ready to rumble. The advantage to wireless connection is almost too obvious: You can place the sub pretty much anywhere you want without having to worry about wires running hither and yon, which becomes even more important if you're one of the growing number of videophiles and gamers who demand dual subs for foundation-shaking thunder to soothe a troubled zombie. 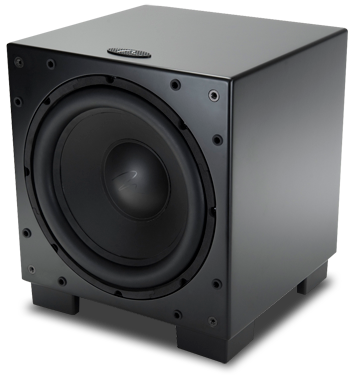 I generally keep the sub out of sight in a space where its sound is solid yet unobtrusive. The SWT-1 allowed me to move it around the room, the only restrictions being proximity to an AC outlet and the SWT-1's 45' range. So I did, and it worked perfectly. 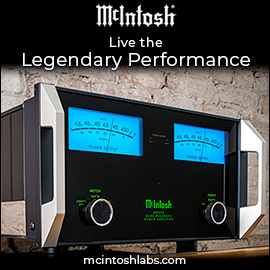 This very cool feature just may portend a similar application for ever more complex partial- and full-range speakers, whose fidelity requirements far outstrip those of monophonic bass signals. Still, the wireless sub is a start. The Motion 10s were placed about 11' apart, to either side of the entertainment center, and about 11' from my primary listening position. I placed the Motion 8 center-channel atop the entertainment center, and the Motion 4 surrounds on stands to either side of the listening position -- the middle of a big ol' sectional sofa. The sub went behind a comfy, overstuffed leather chair to the left of the entertainment center. All speakers were calibrated with the Audyssey equalizer in my Onkyo TX-NR808 receiver. I set the Onkyo TX-NR808 for stereo listening with CDs, mostly to hear the Motion 10s in action all by themselves -- no help from friendly center-channel or surround speakers. Of course I left the subwoofer in play, if only because the Motion 10's driver complement doesn't lend itself to deep bass. For me, a subwoofer is a necessity, not a luxury. The first thing that struck me about the Motion 10s' rendering of stereo CDs was their airiness -- it was as if the sound emanated from a source above and behind the speakers. This was not the same, mind you, as an ability to cast a believable soundstage, but rather a nod toward considerable transparency -- something I think you'd be hard-pressed to find with any degree of consistency in this price range. 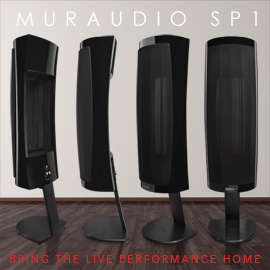 After having in my system for some time the PSB VS400 towers -- straightforward, uncomplicated speakers -- I was taken aback by the sense of air the Motion 10s portrayed. The reason this is important is that the Onkyo TX-NR808 receiver, only recently installed in the family room, doesn't let me change listening modes on the fly. I designated CD playback as Stereo, which rendered the VS400s impeccably polite and a tad on the drab side; these are speakers made for movies. The Motion 10s couldn't help but bloom in the same environment in the NR808's Stereo mode. First up was John O'Conor's remarkable disc of nocturnes by John Field (CD, Telarc CD-80199), a recording of sublime quietude that requires utter neutrality throughout the midrange to capture O'Conor's steady hands at the Steinway. Largely forgotten today, in the first half of the 19th century Field was acknowledged as a giant of a composer and concert pianist. 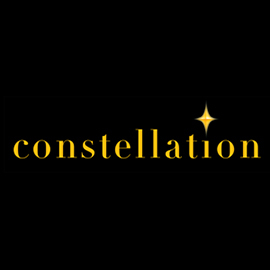 O'Conor captures the fluid grace of the nocturnes -- Field invented this musical form -- with a relaxed solemnity; each is a petite masterwork of measured tone and balance. The Motion 10s rendered the recording flawlessly, throwing out a huge soundstage as high as it was wide, and seeming to utterly disappear -- an impressive display of unexpected transparency. Pink Martini's Splendor in the Grass (CD, Heinz RR 943) is one of those retro pleasures, like all of their considerable oeuvre, that revels in a sound born in the old world music of the 1960s and refined in the new century. China Forbes's lovely alto shines in "Ninna nanna," and the Motion 10s delivered another astonishing soundstage with this track, this time handling a full orchestra at considerable volume with no hint of confusion -- notably with various percussion, necessarily recorded out of phase, and spread far beyond the speaker boundaries. Now, this wasn't a concert stage, but it was impressive for two smallish towers in a moderate space (25' x 16' x 10'). However, whenever I drifted too far from the sweet spot, the sound became more directional -- that precious transparency decreased by small but distinct increments, and the presence of the speakers was more apparent. Few speakers of the Motion 10's humble driver complement and price point can hold a steady soundstage and make you forget they're in the room even when you're in the sweet spot, let alone off axis. The Motion 10s earn props for presence and musicality. Movies with full surround soundtracks sounded amazing. One of my daughter's birthday treats was the boxed set of the first six Harry Potter movies on Blu-ray, from The Sorcerer's Stone to The Half-Blood Prince. We have a couple of these on DVD, and I can't see much, if any, difference between the picture qualities of the DVD and BD editions. Then again, our oldish Dell W4200HD plasma display, with a pixel array of 1024x768, won't resolve a 1080p signal, which is what you need for true high definition. Still, the films are glorious, and the sound is a fabulous complement to the action. In The Goblet of Fire, Harry's Hungarian Horntail (chapter 14) runs amok, its talons shredding shingles all over Hogwarts' conical tower roofs, wayward shards splintering across a seamless soundscape. Later on, during the Third Challenge (chapter 23), the massive hedge maze collapses variously on Harry and Cedric. Not only did the Motions capture each collapse as it moved across the screen, but the wireless sub rumbled in cadence -- ample evidence that the wireless connection upheld the low end without missing a measure. The lovely, endearing Up, besides costarring Dug -- for my money the coolest pooch ever in show biz (sorry, Lassie, Rin, Daisy, et al.) -- is one a feel-good flick with a heartwarming, family-friendly moral and, this being Disney, nary an undeleted expletive, naughty bit, or drop of blood to be found. Despite all that gosh-darn wholesomeness, it's a pretty good movie, and a treasure of audio fillips for the curmudgeonly speaker reviewer. Up gets going when, shortly after his "public nuisance" hearing, old Carl lets loose his phalanx of balloons as the rest-home attendants gape in astonishment (chapter 8). The porch creaks, nails pop, and plumbing and electrical hookups unhook as his house disengages from its foundation. (The gentle metaphorical link between Carl and the house is not lost on the attentive viewer.) The sound effects are marvelous if routine -- until you notice that when the "camera" is on the attendants, the house's sounds are instantaneously transferred to the surround channels, then quickly back to the front channels when the "camera" pans to the house -- an ingenious display of sound direction as subtle as it is convincing. We see the house borne by the balloons on a gentle breeze, but rarely are we shown only the house. The Pixar animators view its departure through a myriad of different lenses: a little girl playing in her apartment, the house's shadow cast across an early morning street, the house's reflection in a shop window, a window washer -- and, yes, we get the "window" metaphor; windows abound at every meaningful juncture in this movie. All of this has nothing to do with the Motions' sound, but has everything to do with Pixar's cinematic genius for subtly and indirectly telling a story. A bit later, the Motions kicked into high gear as a thunderstorm rattled the subwoofer -- again via that flawless wireless connection -- while claps of thunder bounced from one surround to the other (chapter 10). The Motions nimbly conveyed the ferocity of the storm surrounding the house, while the front-channel speakers handled the havoc created inside. In the penultimate action scene (chapter 23), the Motions glistened as the dog pack chased Kevin, Carl, and Russell from Muntz's lair. The sounds of the pack panned from front to back and around without missing a bark or yelp as balloons burst, the house groaned, and Dug-propelled boulders kept the other dogs at bay. The sound swirled in and among the ensemble relentlessly, and not once did the Motions flub a toppled stone formation or a bulldog's menacing growl. Another of Up's engaging features is something that's becoming more common in movies on BD/DVD: the assignment of the soundtrack largely to the surround channels, which the Motion 4s rendered wonderfully. The Motion 4s reflected the 10s' musicality as the soundtrack blended the action, dialogue, and sound effects with nary a hitch. The MartinLogan Motion series took me by surprise. First, I've been enamored of MartinLogan electrostatics for decades -- they're amazing speakers by any definition -- so I wasn't prepared for something that broke that mold and sounded as good as the Motions. 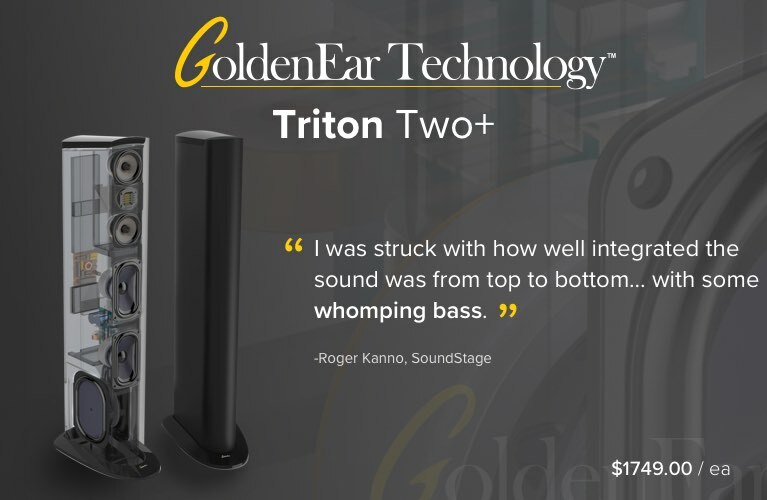 Second, the Motions sell for attractively entry-level prices that don't ordinarily buy above-average sound. Folks, the Motions are the real deal. It doesn't take a special speaker to do movies, but it does take a special speaker to belly up to the musical bar and turn a CD into a genuine musical experience. The Motion 10s delivered a musical experience that was breathtaking. 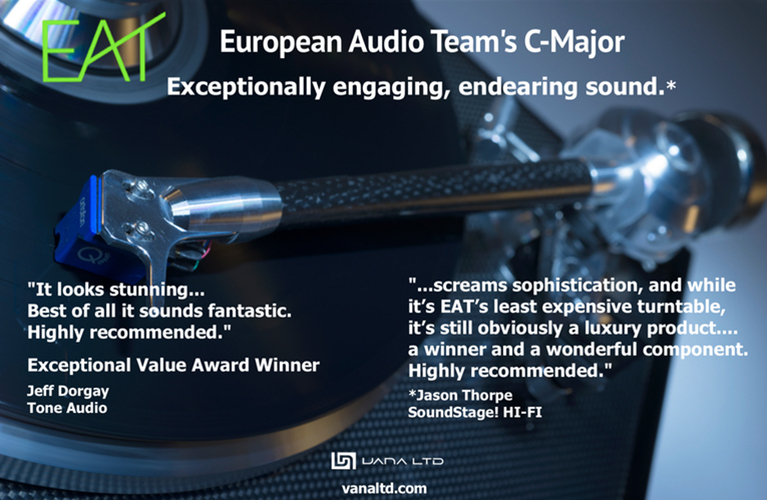 Oh, they need LF help, so you'll need a subwoofer, but their soundstaging, transparency, and midrange resolution are something you have to hear to fully understand that they deliver a sound that far exceeds what their cost might suggest. That's what I call value. When you get a superb movie system on top of a pair of excellent, affordable stereo speakers, you've captured the very best of both applications. Not only has MartinLogan stepped audaciously outside their comfort zone, they've produced an affordable line of pretty nifty speakers, each of which performs excellently. 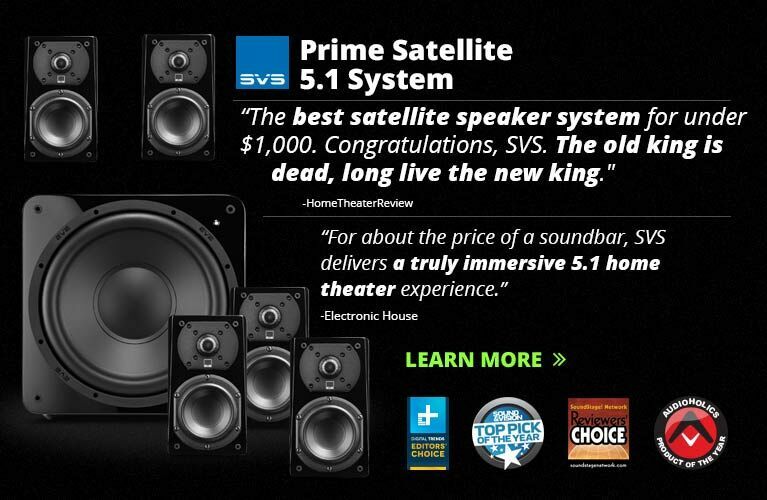 The total cost of the review system is $3010.75, pretty much at what I consider the price of entry for a real 5.1-channel home-theater speaker system. Just getting started? Short-list the MartinLogan Motions and prepare to be amazed.